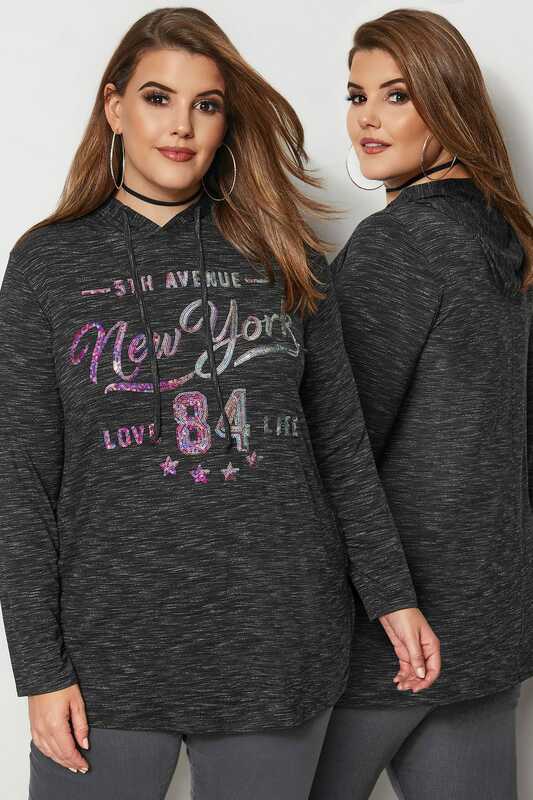 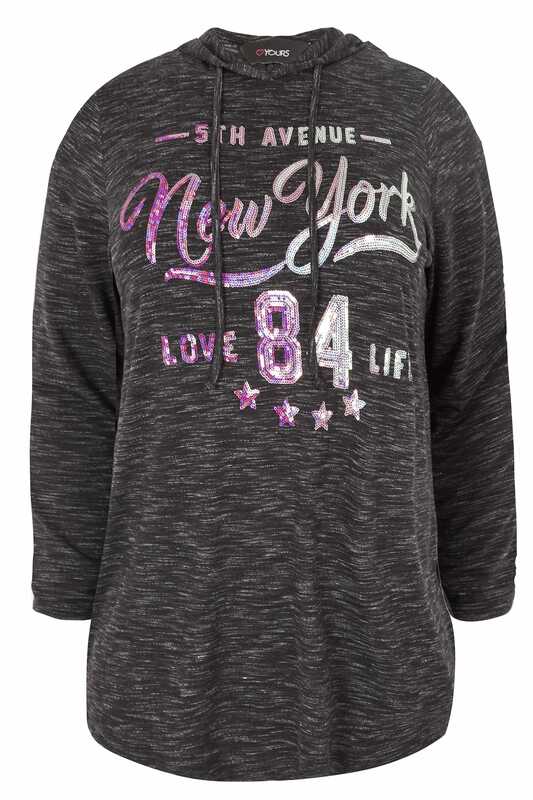 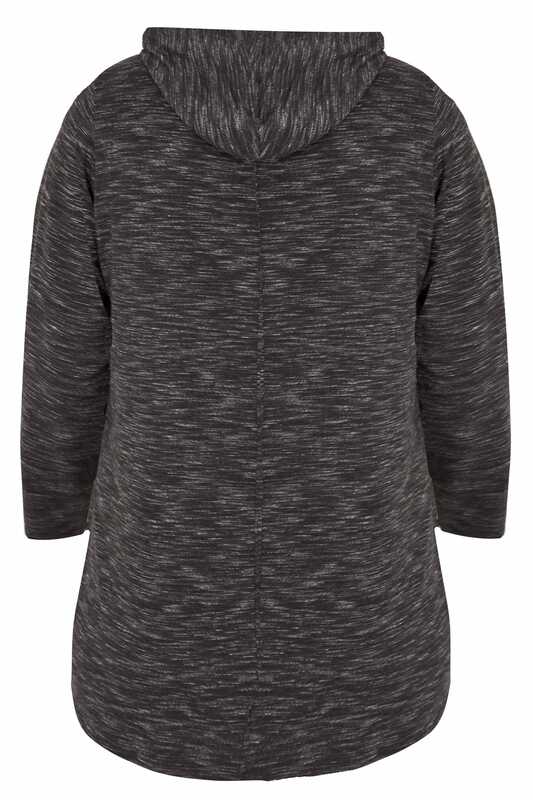 Lounge around in style with this super soft embellished hoodie. 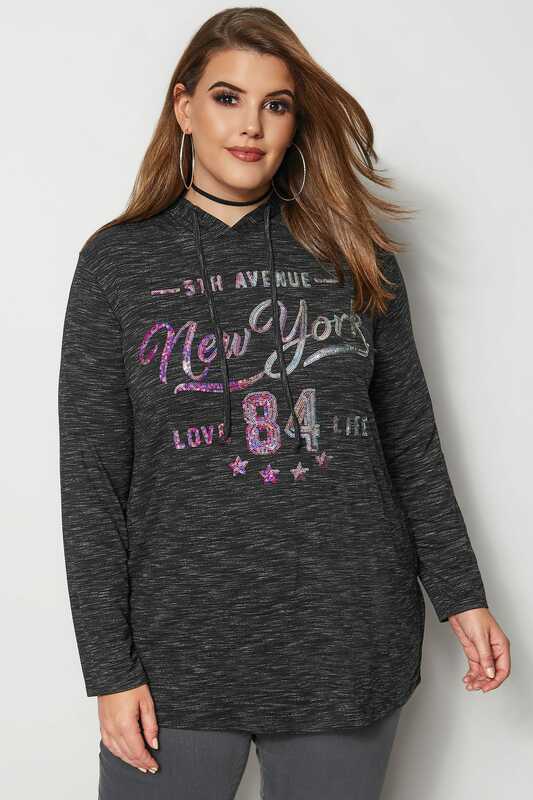 In a pull-on design, it features a drawstring hood, a sparkly sequin slogan and long sleeves. 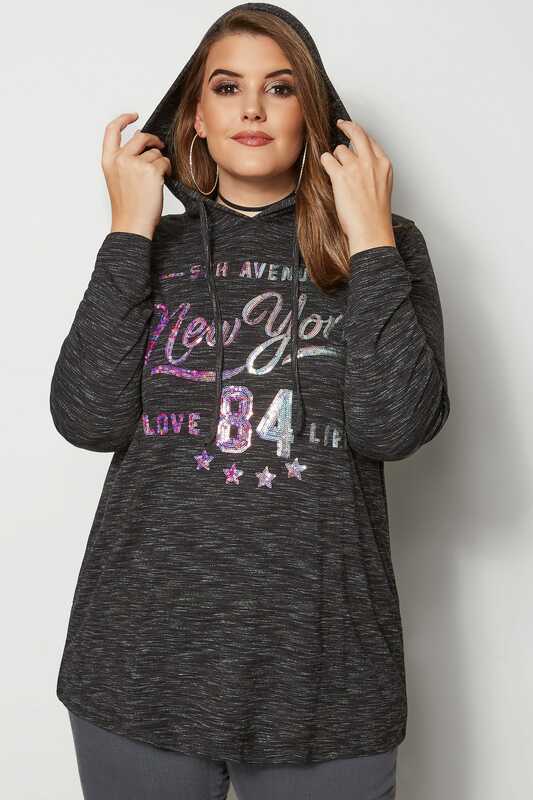 Ideal for mild weather, wear with a comfortable jersey tee and some slouchy joggers for casual vibes. 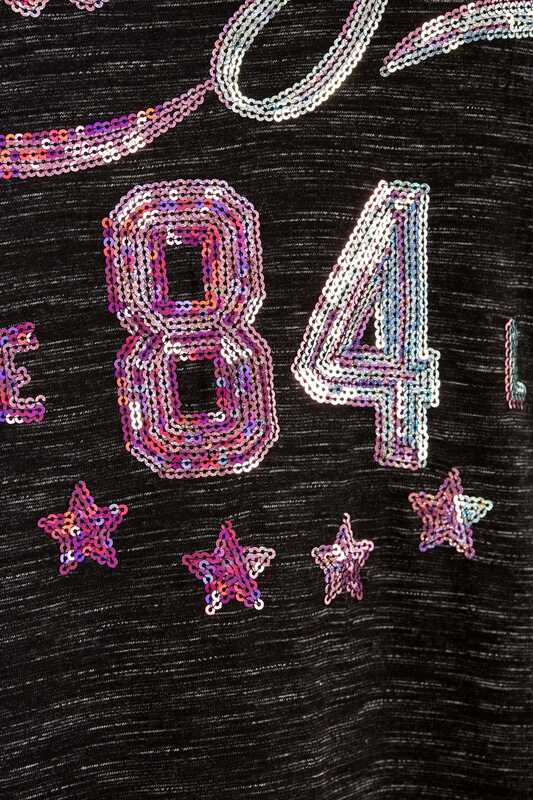 Totally on-trend, we are loving the ombre sequin design!